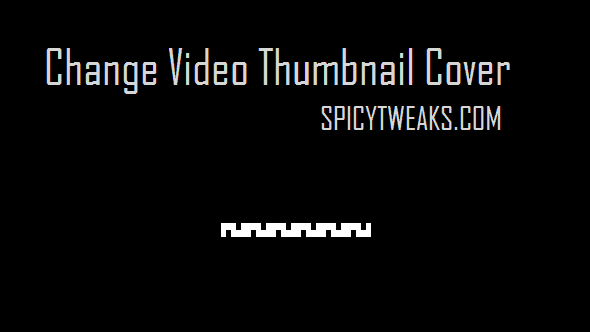 Want to change the Thumbnail Cover Art of your video files? Follow these simple steps to edit the art of any video clip. Video thumbnails are automatically generated based upon frames of the clip. But sometimes, it become very difficult to identify a clip from a folder which have a large collections of our favorite videos, and if the name is arbitrary which isn't related to the clip than it become worst of all. Sometime, when you didn't find a movie than you'll assume it as deleted and you'll download it again. In most of my cases, I find the video just after downloading it. In that case you can change the thumbnail cover of some or all of your videos that explicitly describe the clip. In one of my previous post, I have shown you simple ways to Change Music Thumbnail Cover easily with the help of Windows Media Player. But can we change the cover of a movie or a video file? Yes, we can do it very easily. There are many software which can edit Meta Data of video files, but very few can edit/change video thumbnail. The cover is controlled bitmap data contained in the wm_picture Tag. It means, if an application is capable of editing this tag than it can also modify the thumbnail cover of our video files. I have tried using AudioShell and it does the task very well. 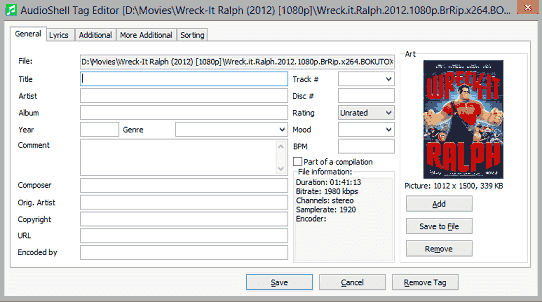 It was actually designed to edit the tags of Music Files, but it edit tags of most of the video files. You can use this application to change or edit title, artist, year, release time, copyright etc. Customizing the Video Thumbnail form AudioShell is easy task. It is not an application but an extension which can help you in editing Meta Data of video files including thumbnail cover art. After installing this software, an AudioShell option will be available. You can change the art by right clicking on any video file Just follow the steps and you will do it in seconds. Before proceeding to the tutorial further, download AudioShell from here. Install the application after the downloading finishes. After installing you'll need to restart your PC. After restarting, go to the folder which contains the video file you want to change the cover art. 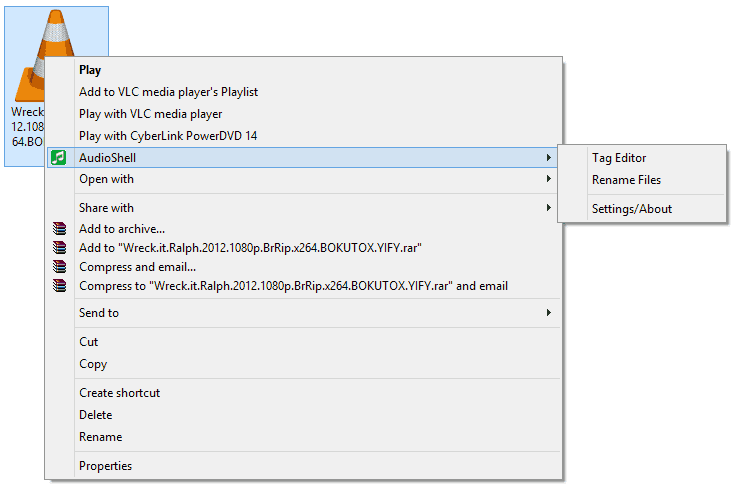 Right click on the video, click on Tag Editor inside the AudioShell option. From the dialog box that appears, you can easily edit your Video thumbnail cover. To change, click add which is in the right side inside Art. Isn't this very simple task? That's all! I hope, now it will be little easier for you to find the video you're looking for on your Computer . Enjoy customizing cover art, comment if you need help.